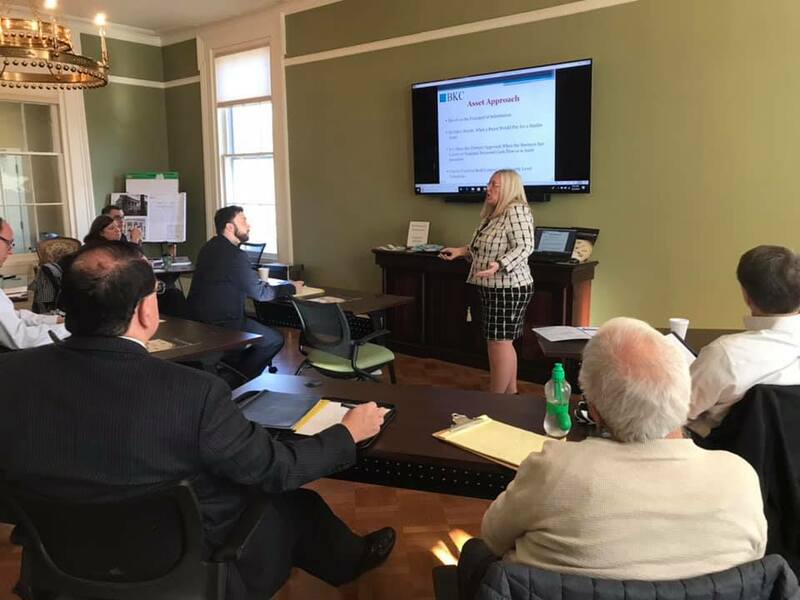 Darlene Shaffer, CPA/CFF, CVA, Principal at BKC, CPAs, PC presented “What’s Your Business Worth?” last Wednesday at the Unity Bank Center for Business and Entrepreneurship at our Hunterdon Chamber’s office. Darlene reviewed the three basic approaches and several methods for valuing business. She discussed when you will need a business valuation, why a valuation for one purpose cannot be used for another purpose and why you should use a qualified business valuation expert. Exploring how one can maximize the value of their business by suggesting ways to create value, and build a stronger and more efficient company in the meantime. The event was well attended and very informative. Learn more about future BKC speaking events.